Pants: but with a schmear of pith. For the luddites out there who hate social media and proclaim it to be the end of meaningful discourse, I offer you this story, which to me summarizes all that is great about the Twitterverse (and conveniently omits all of the bad). A few weeks ago, I raved about seeing a fantastic movie called “From This Day Forward” that I had funded as part of a Kickstarter campaign. In that same post, I said it was especially cool to see a crowd-funded project succeed in real-life, unlike most of the projects I’ve backed. 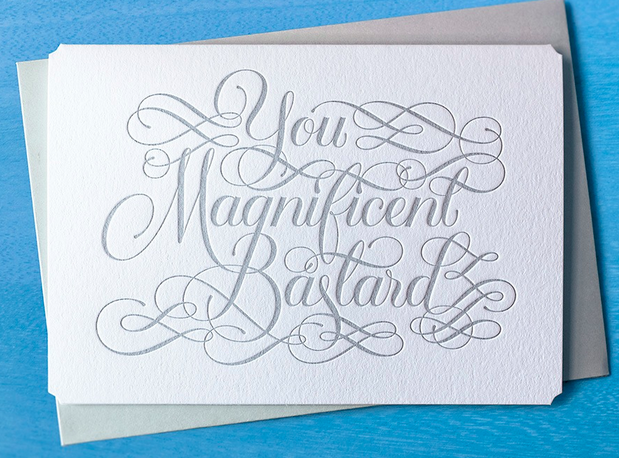 Then in passing, I mentioned another project I’d sponsored (elegantly designed profane greeting cards) that actually seemed to have gone on to great success – though somehow my donor gift got lost in the shuffle. 3) I just received a package of notecards in the mail!!! 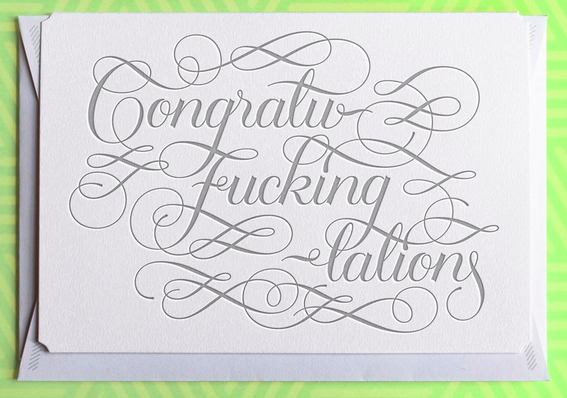 If you’re scratching your head, wondering what, exactly, constitutes a profane greeting card, keep reading. If you’re opposed to swearing, you probably won’t be a fan. 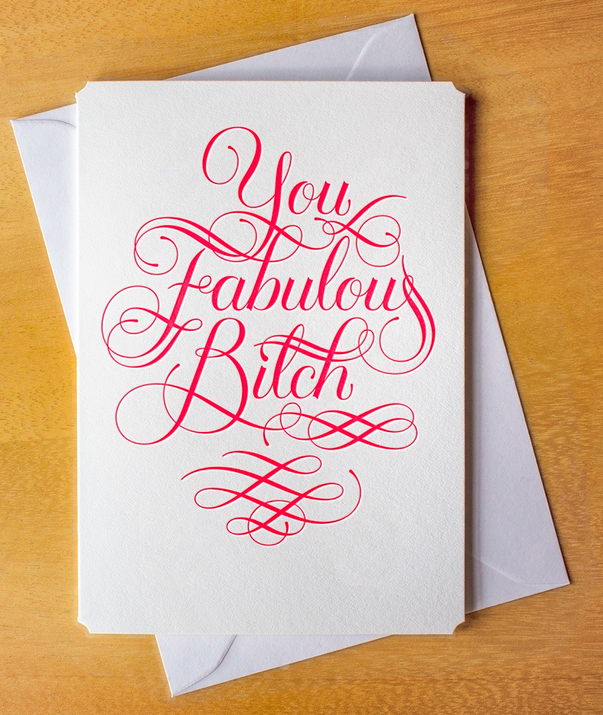 But Linus (the owner) is a talented calligraphist and his hand-inked designs are silk screened on to high quality paper, so it’s a nice juxtaposition of high- and low-brow rolled into one package – irony at its best. And we all know he offers tremendous customer service! 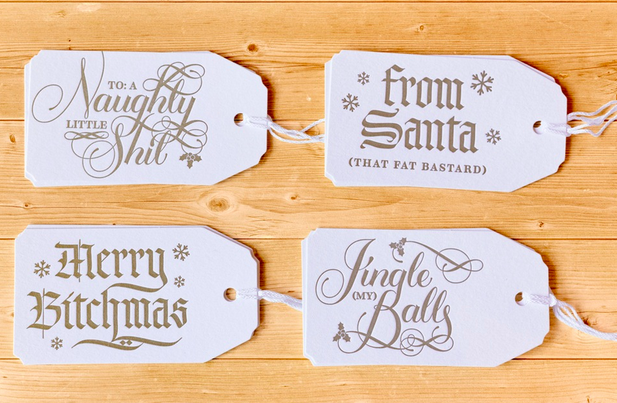 In case you’d like to offend your holiday distribution list, you can buy his designs at www.calligraphuck.com. 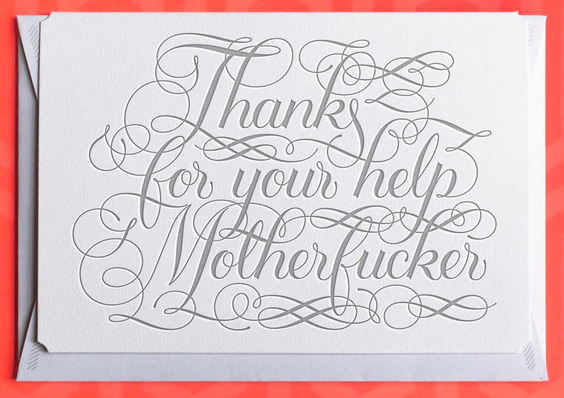 Check out his inventory at Calligraphuck – and let me know if I’ve missed some key uses. I have a new-found respect for kindergartner’s art skills. Corn is not easy to work with. 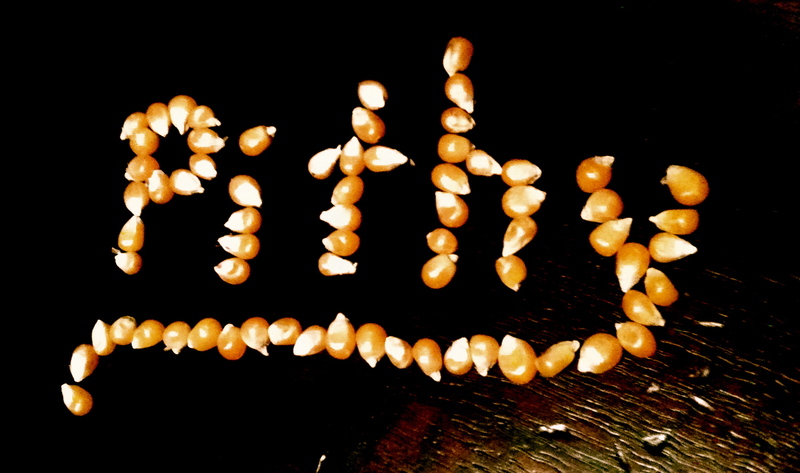 So in the wake of my run-in at the farmer’s market, I decided to make corn a dirty word. I had a run-in at a farmer’s market. How is this even possible? I already swear a lot. Do I need another word in my arsenal? Does a bear eat corn? Probably, if it is hungry enough. Corn is a ridiculous word. Is it actually swear-worthy? For the love of corn, yes. Really? I was annoyed enough that I need to seek revenge by starting a corn movement? Frankly, yes. You know the expression, “Mess with the bull and you’ll get the horn?” Well, my new motto is: Mess with me and you’ll get the corn. Not quite how I imagined it. Men just don’t get it. © 2010 - 2013 pithypants.com. All rights reserved. Excerpts and links may be used, provided that full and clear credit is given to pithypants.com with appropriate and specific direction to the original content. Unauthorized use and/or duplication of this material without express and written permission from pithypants.com. When in doubt, bounce me a note -- I'm pretty cool. Just want to prevent the spambots from working me over.